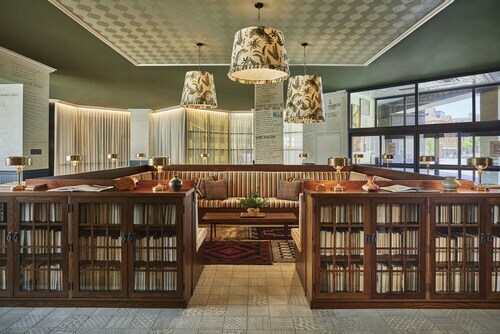 Located in the heart of Iowa City, this hotel is within a 15-minute walk of Iowa City Public Library and Mercy Hospital. University of Iowa is 1 mi (1.6 km) away. Situated in Iowa City, this hotel is within 1 mi (2 km) of Iowa City Public Library, University of Iowa, and Mercy Hospital. Old Capitol Museum and Iowa Old Capitol Building are also within 10 minutes. Situated in Iowa City, this hotel is within 3 mi (5 km) of Mercy Hospital, Iowa City Public Library, and Iowa Museum of Natural History. Iowa Old Capitol Building and Old Capitol Museum are also within 3 mi (5 km). Situated in Iowa City, this hotel is within 2 mi (3 km) of Iowa City Public Library, University of Iowa, and Mercy Hospital. Kinnick Stadium and Iowa Museum of Natural History are also within 2 mi (3 km). 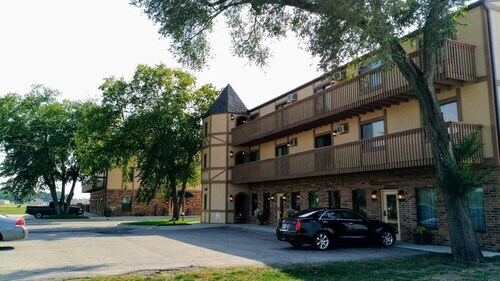 Situated in Iowa City, this hotel is 2.7 mi (4.3 km) from Mercy Hospital and within 6 mi (10 km) of Iowa Museum of Natural History and Iowa Old Capitol Building. Old Capitol Museum and Iowa City Public Library are also within 6 mi (10 km). Located in the heart of Iowa City, this hotel is within a 15-minute walk of Old Capitol Museum, University of Iowa, and Mercy Hospital. Iowa Old Capitol Building and Iowa Museum of Natural History are also within 5 minutes. 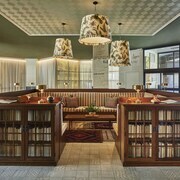 Located in the heart of Iowa City, this hotel is within a 10-minute walk of Iowa City Public Library and Mercy Hospital. University of Iowa is 1.1 mi (1.7 km) away. 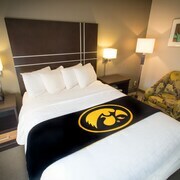 How Much is a Hotel Room in Iowa City? 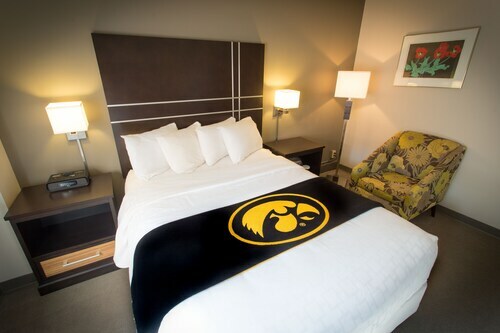 Hotels in Iowa City start at $60 per night. Prices and availability subject to change. Additional terms may apply. Room choices are plentiful in Iowa City. If you're going to stay within a 6-mile (10-kilometer) distance of downtown Iowa City, Travelocity's comprehensive database features at least 26 hotels and apartments that meet that criteria. 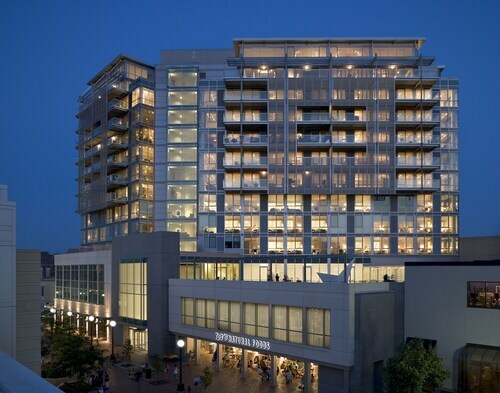 Iowa City's downtown precinct is a pleasant walk from hotels with comfortable rooms including hotelVetro and Sheraton Iowa City Hotel. 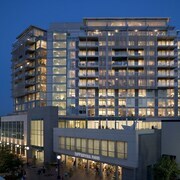 1 mile (2 kilometers) away from downtown Iowa City is the Clarion Hotel Highlander Conference Center. 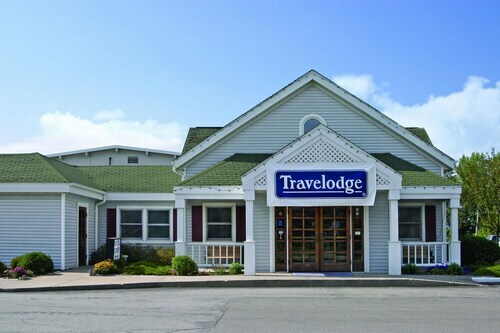 This hotel is a an excellent option for those who are looking for economical options. 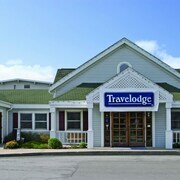 An alternative economical option in Iowa City is the Travelodge Iowa City. Check out the Plum Grove Inn as well as the Coralville Marriott Hotel & Conference Center. 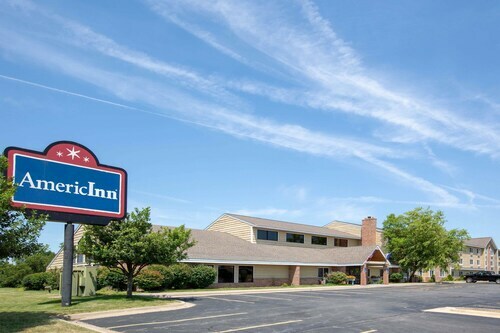 The Plum Grove Inn is located 2 miles (4 kilometers) from the middle of Iowa City. The Coralville Marriott Hotel & Conference Center, is situated 2 miles (3 kilometers) away. The Radisson Hotel & Conference Center Coralville - Iowa City and the The Hotel at Kirkwood Center are two other Travelocity-listed accommodation options in Iowa City. Planning on seeing some more of the rural landscapes, rolling hills and prairies that this area features? Why don't you enjoy some time in nearby places in Eastern Iowa? Modern visitors should see this region's various sights or have a go at snowboarding and afterwards make a booking for a popular Travelocity-listed hotel to stay the night. Williamsburg is 3 miles (5 kilometers) to the west of Iowa City. During your visit, be sure to check out the Coral Ridge Mall. Coralville features a number of good Travelocity-listed places to base yourself. If you're after another option, there's Williamsburg, 25 miles (39 kilometers) to the west of Iowa City. There, take some time to enjoy the Tanger Outlets. 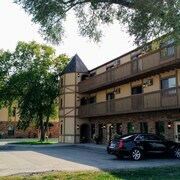 The Best Inn Cozy House & Suites and Super 8 Williamsburg IA are options for places to retire for the night. Why not spend a few hours enjoying the plays with avid lovers of sports at a community sporting fixture. I Wireless Center can be found 55 miles (85 kilometers) to the east of Iowa City. 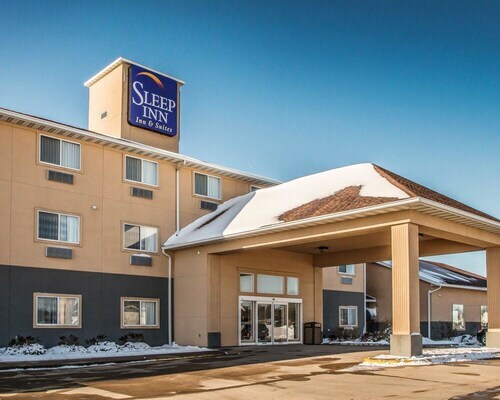 Modern visitors that enjoy the ease of finding a hotel in the area, reserve a room in the Stoney Creek Hotel & Conference Center Quad Cities or Radisson On John Deere Commons-Moline. Are you keen to find the closest airport for Iowa City? Eastern Iowa Airport can be found 17 miles (28 kilometers) away. Location was great for visiting college campus and shopping and food. No dislikes. Nice property, good amenities (billiards table, swimming pool, exercise room). Friendly staff, clean rooms. The breakfast had many options. Plenty of room in the lobby for visiting with our group. Renovated dorm rooms, clean and comfortable. Nice view of the river.